for $3,700,000 with 4 bedrooms and 4 full baths, 1 half bath. This 2,950 square foot home was built in 1976 on a lot size of 0.62 Acre(s). 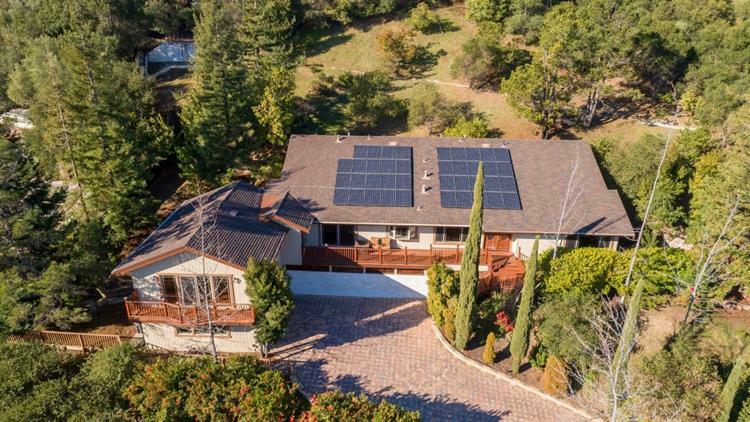 A stunning hillside view property located only a few blocks from the Historic Village of Saratoga makes this one of the most sought-after homes. It is 2950 SF +/- including 4 bedrooms with baths, and an over sized main floor master suite boasting a balcony with views of the twinkling evening city lights below. Elegant hardwood floors shine through-out the home. Central vacuum, some remote control lights and window blinds, and invisible built in speakers for the ultimate surround sound movie experience, help make this home easy and fun to live in. The kitchen is a joy to cook in with a professional Viking oven / 6 burner cook-top range and a valley view. Facing South East allows cheerful sunlight to brighten and warm the kitchen, dining room and living room on cool winter days. 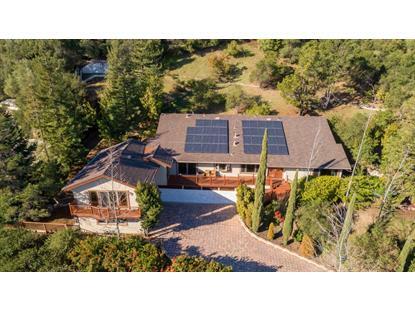 Solar panels and a Tesla car charger help you save! Walking distance to 3 top Saratoga schools, world class food establishments and famed creekside Wild Wood Park make this a must see! DO NOT WAIT!